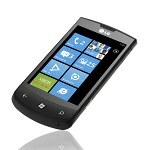 Windows Phone 7 is new territory for LG to conquer and the LG E900 Optimus 7 is their first pawn in the game. However “pawn” hardly describes the rich feature set of this player. LG has done its best to set the Optimus 7 apart with great build quality and some subtle but useful software perks. With the strict hardware restrictions imposed by Microsoft, it’s really hard to make you product stand out and we hope the LG attempt turns out successful. You must’ve heard of the strict Redmond rules outlining the hardware requirements of their latest mobile OS. Not that demanding excellence is a bad thing – but manufacturers are under a lot of strain to make their phones unique while keeping within the Microsoft-imposed guidelines. Much like with any other WP7 smartphone, the Optimus 7 specs leave little doubt that it’s a high end gadget. But Windows Phone 7 brings with it a certain trade-off – you can bet that the hardware is top notch but the platform-specific limitations may or may not prove to be dealbreakers for you. Here go the pros and cons of the LG E900 Optimus 7, which will give you a good idea of how well LG did in that task. LG has added a handful of apps that give their Windows Phone 7 some unique capabilities. First off, the PlayTo app gives the phone DLNA capabilities – so far exclusive in the Windows Phone 7 world. The Panorama shot application adds a useful feature to the stock WP7 camera. And finally, there’s Scan Search, a augmented reality app that can give you a weather forecast as well as find you the best cafe nearby – by using your smartphone camera viewfinder as a guide. LG Optimus 7 has a smaller LCD unit than the top dogs in the WP7 game but it will try to compensate with a proper price tag. Plus we find a 3.8-inch display to be on the brink of tipping over our usability scale. The price tag will always be a decider but with Windows Phone 7 there’s one important difference. Given the hardware requirements, you can’t really expect to buy any of those phones cheap. You’ll be getting roughly the same package in the end. Having reviewed a WP7 phone before, we knew almost exactly what to expect the second we opened the box. Hit the next page where we try to find out what makes the LG E900 Optimus 7 different from the rest. It was actin like that,coz of the battry,it needed to b replaced with a new 1. How can I on my front cameraon my LGe900?